All Bright Electric is a full service electrical contractor based in West Nyack, New York. In addition to servicing residential, commercial and industrial customers, it has provided repair and reconstruction services for utility clients for over a decade with an excellent safety record. In response to increased storm activity in the northeast, All Bright Support Services has been formed to expand the services available during storm emergencies. 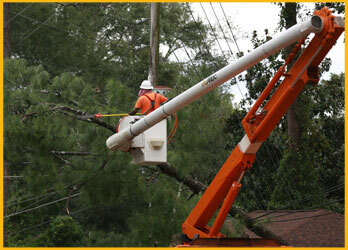 In addition to repair and reconstruction services, we now also offer damage assessment services and downed wire guarding services. Our workforce arrives professionally prepared and with all of the tools and safety equipment normally required to perform their duties. In addition to the All Bright Electric workforce, we partner with other local IBEW electrical contractors to provide a greater responsive workforce team in the greater NY metropolitan area for repair and reconstruction of downed and damaged overhead customer service drops between the transformer pole and meter location. With our advanced technology, we can provide information and photos as soon as our assessors have completed their work in the field. If circuit maps are provided, we can do feeder patrols rather than ticket by ticket assessments; all of our assessment information will have a GPS location and will be accessible to our host utility on a geographic background or in a downloadable table. 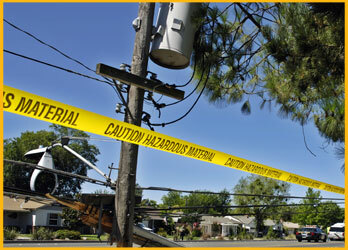 Our wire guard roster includes recent utility and emergency services retirees who have been trained to stand by downed wires and prevent public access until an area is made safe by qualified utility repair crews. 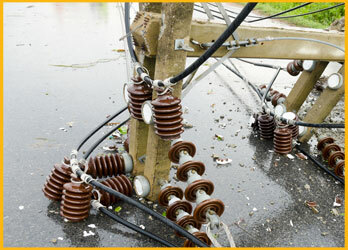 If required, we can operate multiple pods of at least 20 wire guards per shift in different locations.